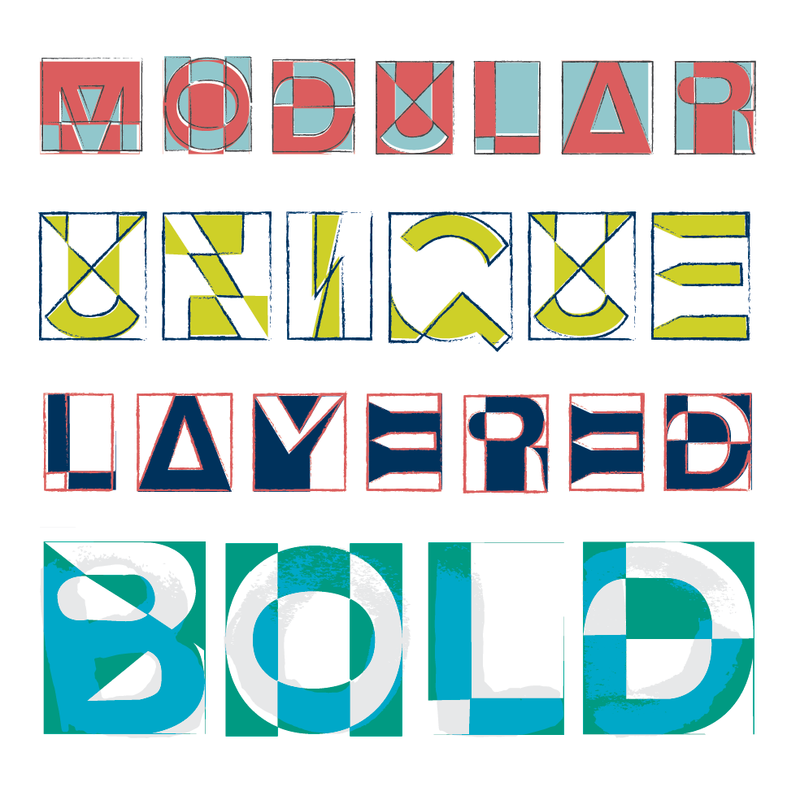 Blok is a hand-drawn, abstract, geometric typeface with five layers, built on the bones of Helvetica Neue Bold. It features uppercase letterforms, numbers, and basic punctuation, and is inspired by the forms of paper cut outs, crosshatch sketching and watercolor paint. This bold and unusual display typeface would be well-suited for use by arts organizations, exhibitions or anybody feeling a little bit quirky. While Blok works well in black and white, it is especially exciting with 1-2 colors in the blok or outline layers.